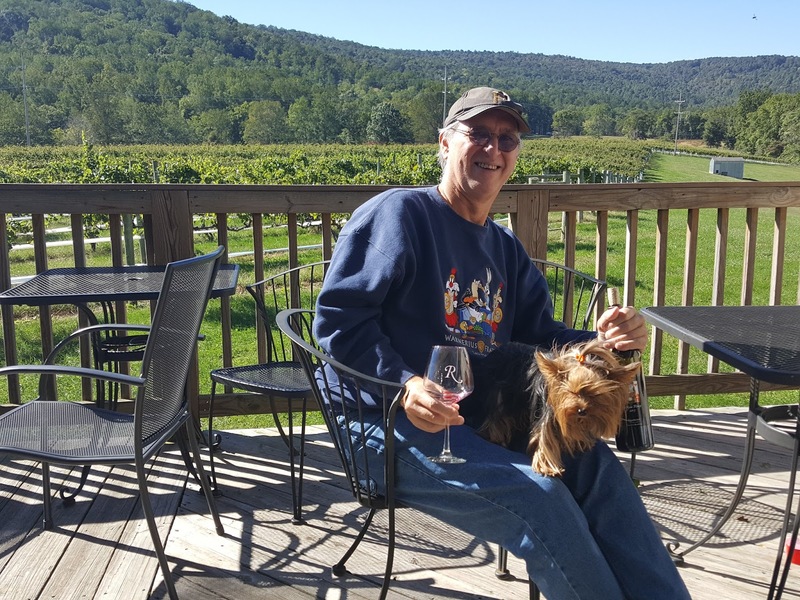 October is Virginia Wine Month: Wine Dogs Share 5 Pawsome Ways to Celebrate! 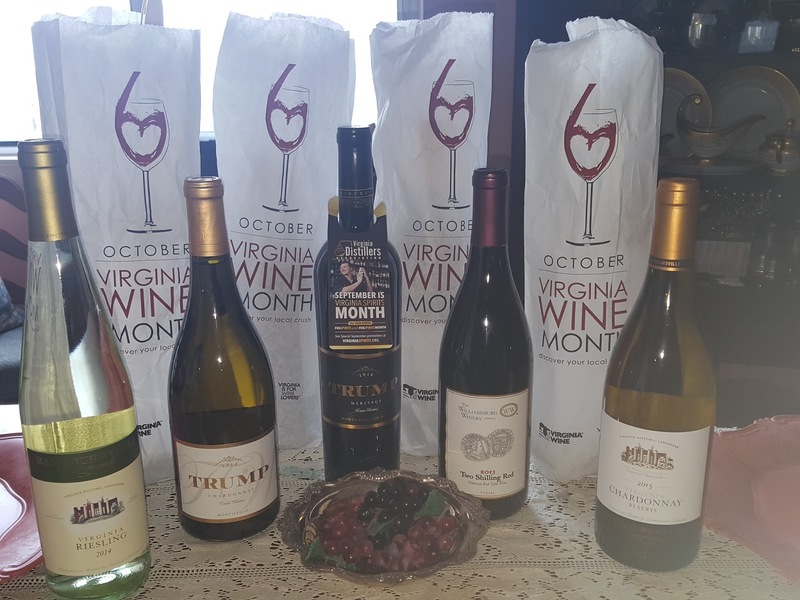 Each October, Virginia celebrates our grapeful heritage with Virginia Wine Month. Ecco offers her suggestions for joining the fun. 1. Visit a local winery. 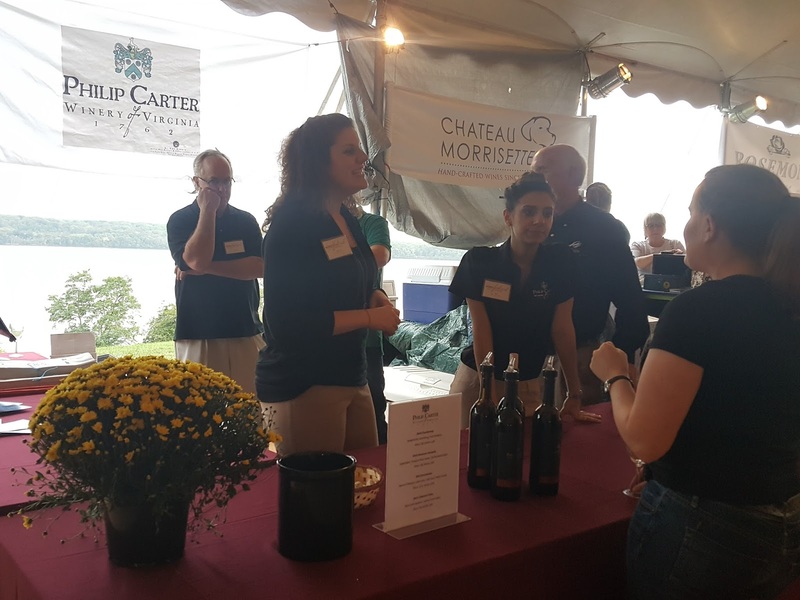 Virginia boasts 283 wineries making some of the best wines in the world. With the harvest complete or wrapping up and the fall leaves beginning to turn, October is a perfect time for a visit. Ecco and Uncle Jeff enjoy the view at Rappahannock Cellars. 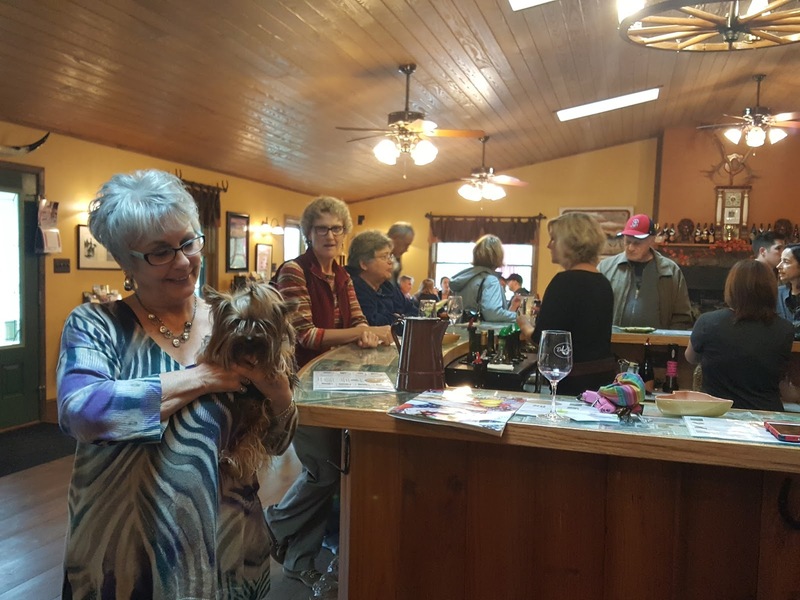 Linda Claynier welcomes Ecco back to Desert Rose Ranch & Winery. Worried about drinking and driving? Take Uber and receive discounts on tastings, merchandise and wine at participating wineries near Leesburg, Richmond, and Charlottesville. .
2. Attend a festival. 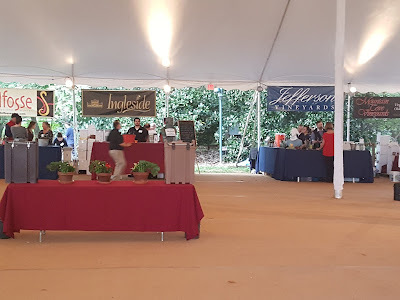 A twist on winery hopping, festivals allow you to sample several different wineries all in one convenient location. 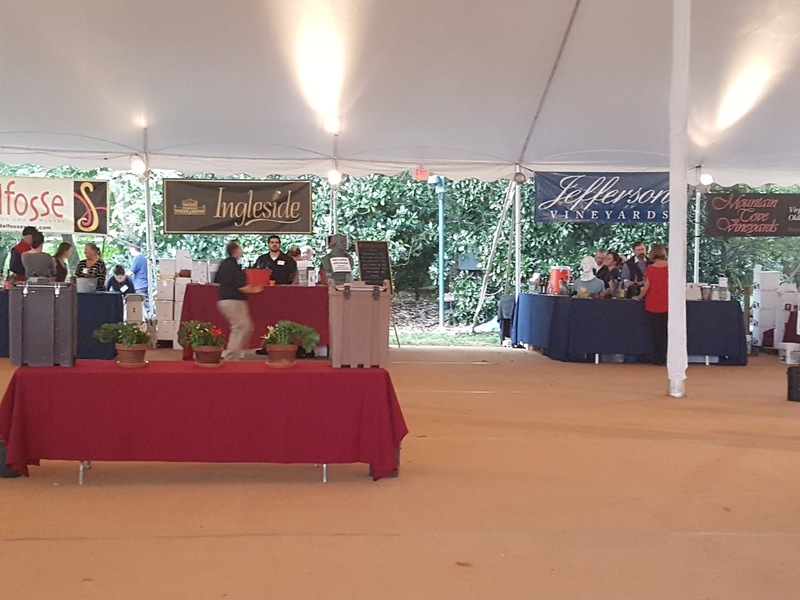 This weekend was the Fall Festival and Sunset Wine Tasting at Mount Vernon - always a sold-out event. Coming up is Loudoun County's Epicurience. Check here for more listings. NOTE: Not all festivals are pet friendly; best to ask in advance. Pouring wine for Philip Carter at the Mount Vernon Wine Festival. 3. Wine and Dine at a local restaurant. With the locavore movement taking hold, more restaurants are featuring Virginia on their wine lists (what better to pair with locally-sourced food?). VirginiaWine.org allows you to sniff out restaurants in your area. 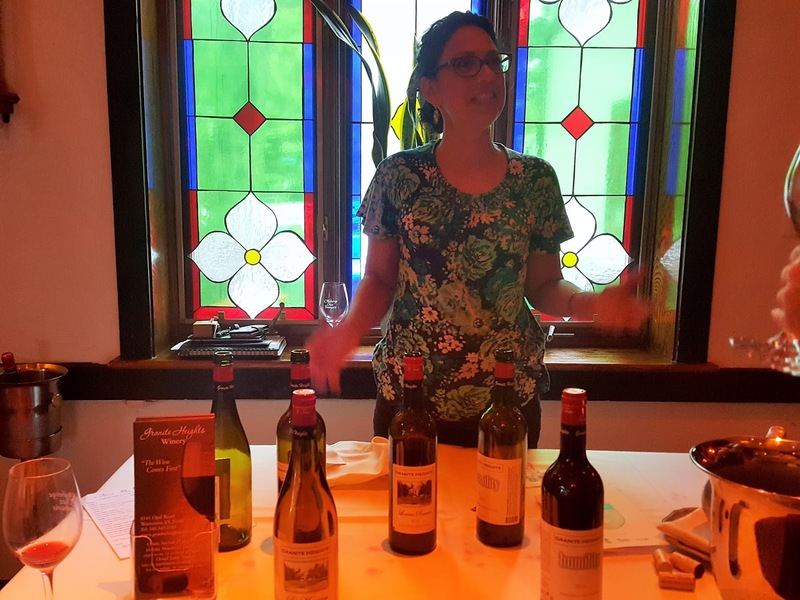 Some, like L'Auberge Chez Francois in Great Falls are hosting special events in celebration of Virginia Wine Month, including a wine tasting on October 1 and a dinner on October 19.
share their award-winning wines at L'Auberge Chez Francois. 4. 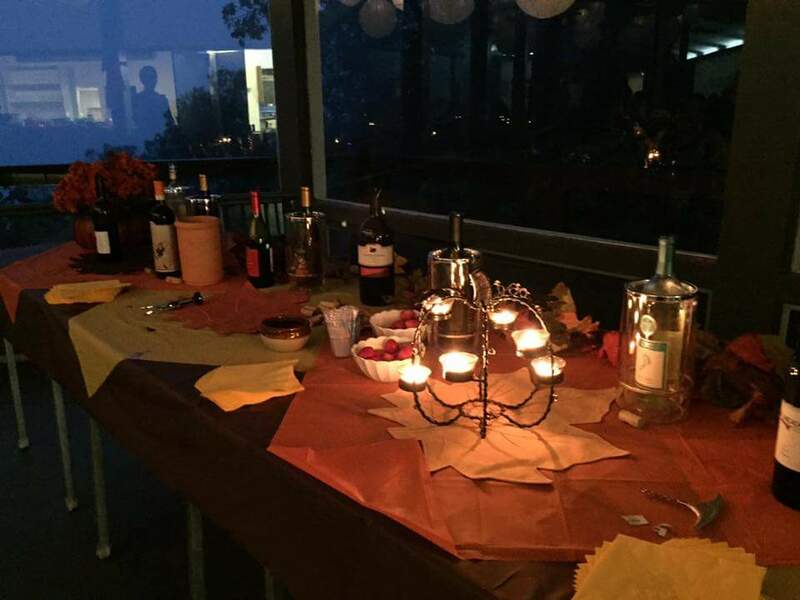 Host a Virginia Wine-Tasting Party. Invite your friends and show off your favorite Virginia wine. Or have everyone bring a bottle to share - with so many delicious wines to choose from, you are bound to discover a new crush. Guests to the sunset wine tasting on Blue Mountain in Linden brought wines from nearby Fox Meadow as well as Corcoranm, Rappahannock Cellars, and Miracle Valley. 5. Stock up Virginia Wine at your local ABC. In honor of Virginia Wine Month, Virginia ABCs are offering a 10 percent discount on all Virginia Wine and spirits. 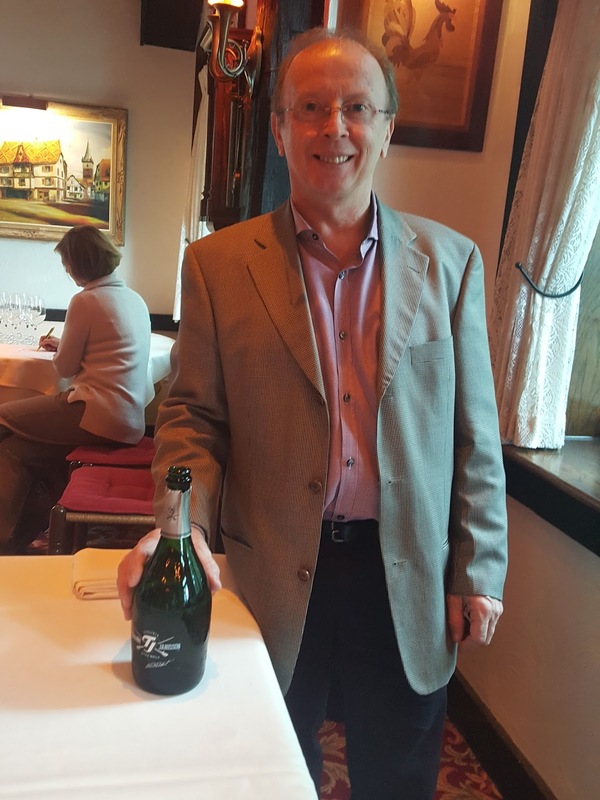 Ecco picked up bottles from Barboursville, Trump, and Williamsburg on a recent visit.